Customised ceramics and hard surfaces have never been easier! 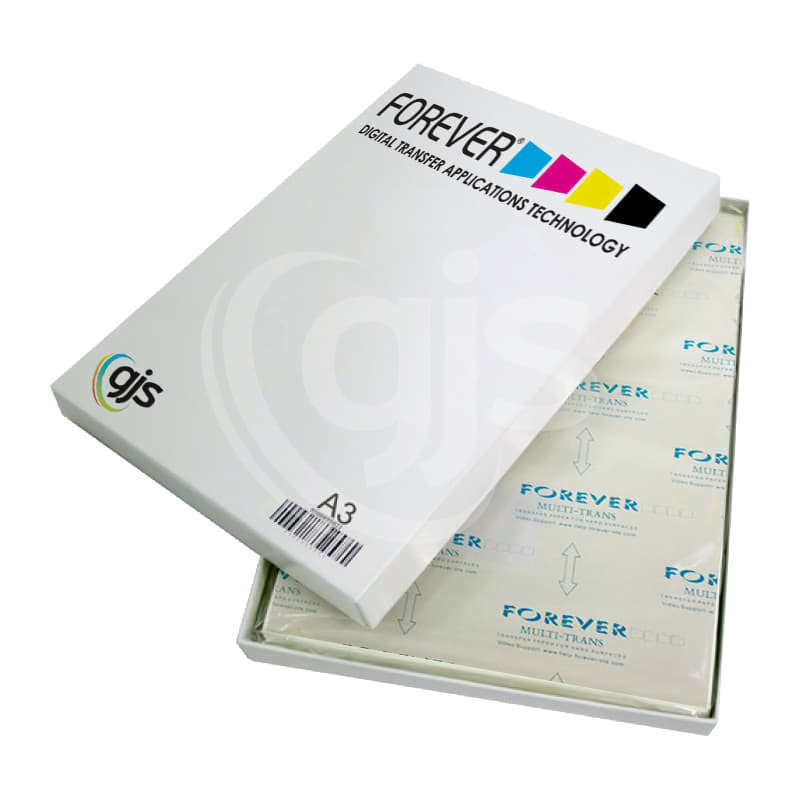 With FOREVER Multi-Trans printable heat transfer papers, you can create crisp full colour heat transfers for hard surfaces, using your existing sheet fed A3/A4 laser printer. This innovative laser heat transfer material eliminates any need for cutting and weeding, making custom decoration of multiple surfaces fast and cost effective for any business. Printed on your CMYK laser/LED printer, these matt finish transfers are perfect for white or light coloured substrates. But with the introduction of a white toner like the OKI Pro7411WT utilises, the possibilities are endless! Producing beautiful designs for a variety of color surfaces including black. Amazing support and responses. Thanks so much, Nothing ever seems a problem to you guys and that is brilliant! Thanks Greg!